Be adventurous with different types of wine! When you think of wine, you think of Red Wine and White Wine. But there are many other kinds of wine. 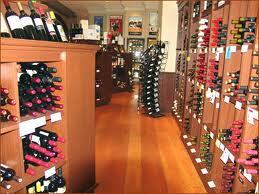 Walk into a grocery or wine store and the choices can be overwhelming! Reds and Whites are by far the most popular, but why not try something different? You never know… you might find a new wine that you fall in love with. Why always go for that same old red or white? Table Wine: Table wines may have varietal names or names describing the color (for instance, blush). Table wines include red, white and blush wines. They can be made from any grape or combination of grapes in any style a winemaker chooses. Blush Wine: They are light pink wines made from several red wine grapes. These are also known as Roses. They are light in flavor and usually have some sweetness. They get their color from a very short period of contact with the grape skins during the wine-making process. Dessert Wine: These wines are typically served with or in place of dessert. Sherry and Muscat are regarded as honorary dessert wines. They are usually very sweet and pair well with fruit or bakery sweets. Aperitifs: Or appetizer wines, are commonly served with something small to eat, such as olives, pate, crackers, cheese and an array of finger foods. These types of wine are usually served before a meal to stimulate the appetite. Organic Wine: is wine from grapes grown by winemakers using the principles of organic farming. They generally do not use pesticides, herbicides, fungicides or fertilizers while growing grapes. Non-Alcoholic Wine: are made from the same premium grapes used to make alcoholic wine. In fact, they are made exactly the same way, aged and fermented in barrels. The alcohol is removed by cold filtration just before the wine is bottled. Or, in some cases, they are not fermented at all. Tastes great! Champagne / Sparkling Wine: These are effervescent wines. The primary grapes used to make these wines are Chardonnay, Pinot Noir and Pinot Meunier. They range in style from dry to very dry to sweet. It gets it’s “fizzi-ness” by inducing secondary fermentation in the bottle. Red Wine: These grapes are red, deep purple and sometimes even blue. The skins are fermented with the juice and body giving it its color. These colors vary widely depending on the cultivar and how the wine is fermented. Red wines tend to be stronger, drying and more complex than white wines. White Wine: These are smoother in texture and much more delicate than red wines. They can range in style from bone dry to sweet. The grapes are yellow, gold and green in color. White wines can also be made with reddish grapes as long as the skins are not left in contact with the juice during the fermentation process.